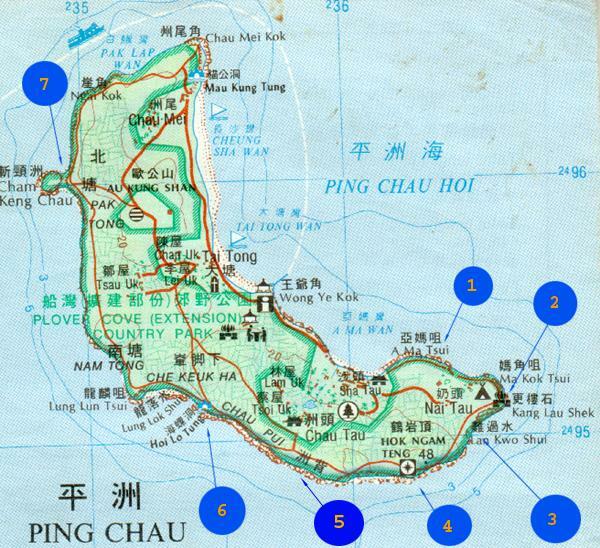 Tung Ping Chau is a very famous outlying island in HK. 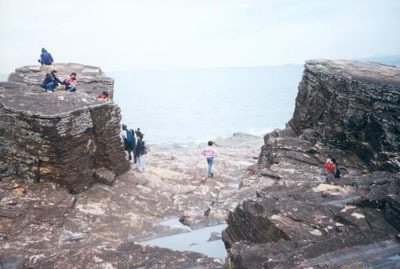 It is famous for its sunrise scenery, unique rock structure, peaceful environment and coral reef. You can trek along the coastline of the island or you can take an easier alternative: there is a clear footpath running along the periphery of the island. 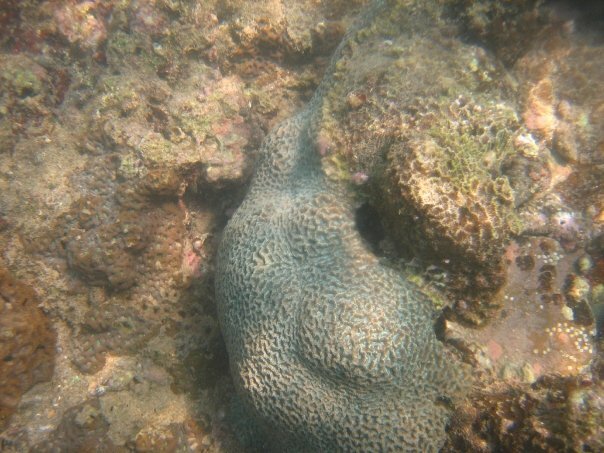 Another popular activity in Tung Ping Chau is snorkelling and diving. The coral reef there is rather close to the shore. Check out the following map. 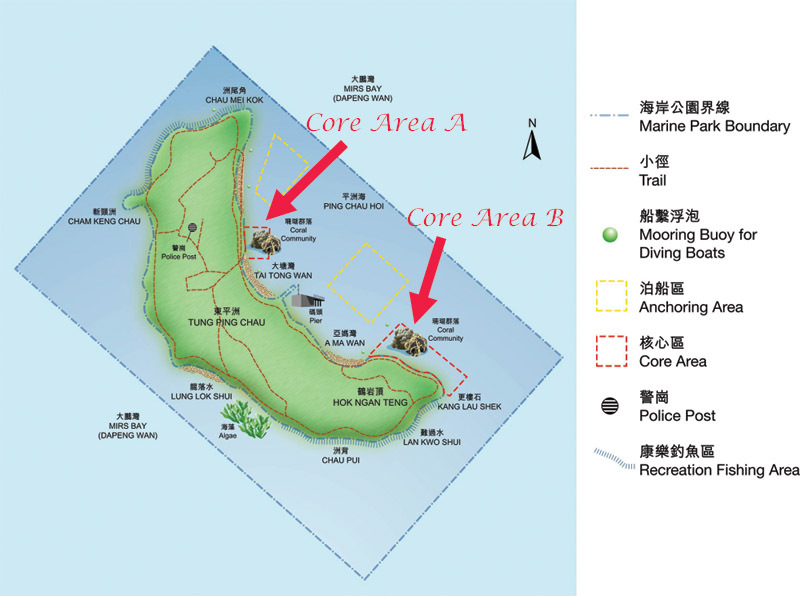 The most popular snorkelling sites are Core Area A and Core Area B. Both of them are easily accessible by footpath. This is the sunrise in Tung Ping Chau(東平洲). This interesting rock structure was found in A Ma Tsui (啊媽咀). 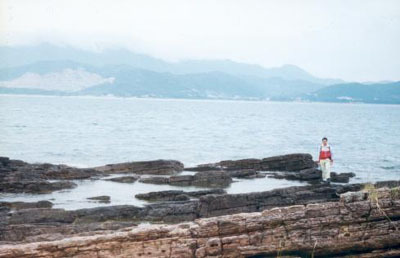 These two big rocks are Kang Lau Shek (更樓石). This is the most famous features in Tung Ping Chau, Lan Kwo Shui(難過水). This is basically a small cliff at the shore. If you want to pass this cliff without getting your feet wet, you have to climb across the cliff like what Monk and Patrick were doing in the photos. 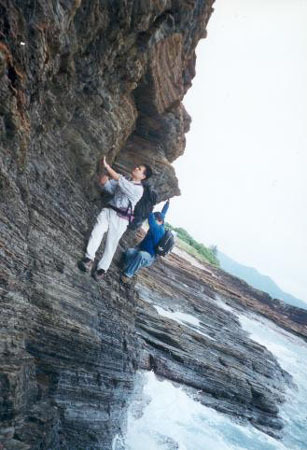 This is one of the most exiting cliff in Tung Ping Chau. This place is call Tau Am(頭岩). There is a big cliff with large sedmentary rock, Yi Am(二岩). 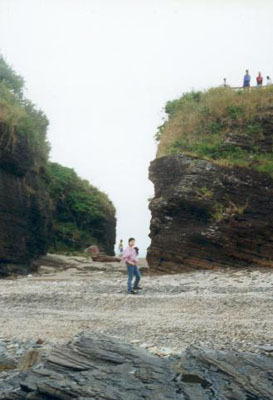 There are two sea caves in Tong Ping Chau. This is one of them, Hoi Lo Tung(海螺穴). This is Cham Keng Chau(斬頸 洲). Core Area A belongs to a sandy beach. Therefore, the water there is a little bit cloudy. 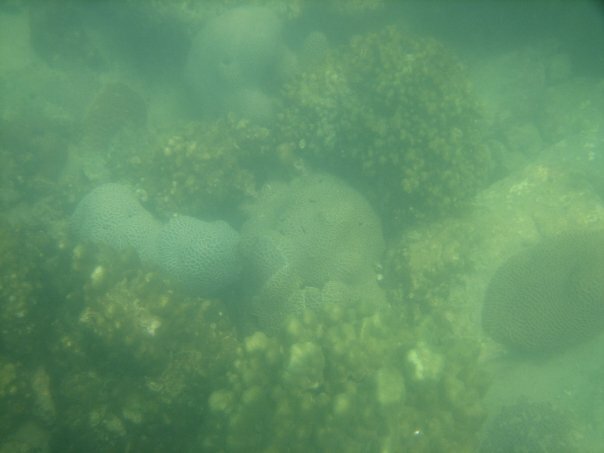 And the coral reef is not very close to water surface. You have to dive a little bit, say 50cm to 150cm, in order to see those guys clearly. 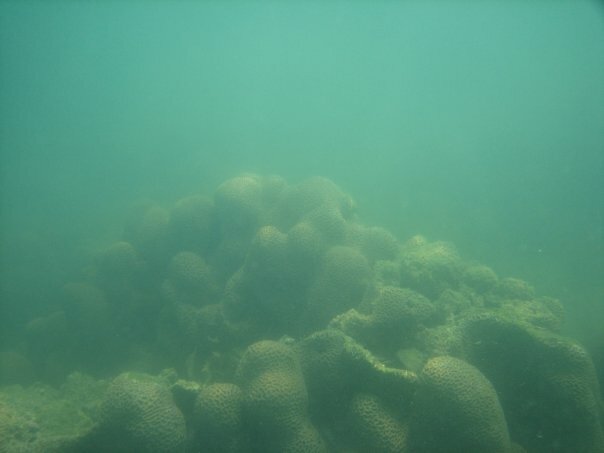 The pictures below were not taken by professional submergible camera. It was a ordinary digital camera in a water proof bag. There are a few shops near Core Area A offering good food, drinks, masks, snorkels, safty vests, lockers, showers and even changing room. 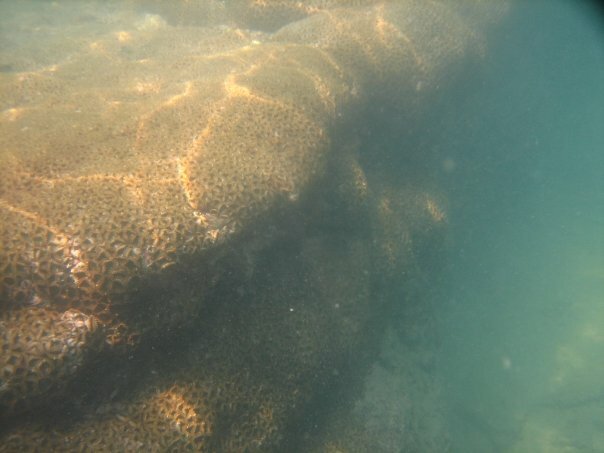 Core Area B belongs to a rocky shore, therefore the water is very clear. 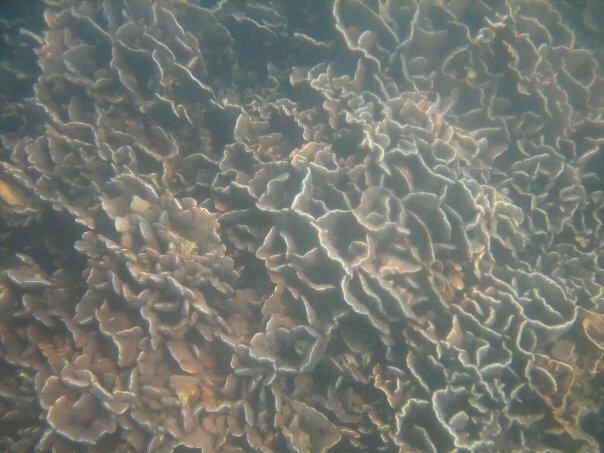 The coral reef is also very close to water surface. 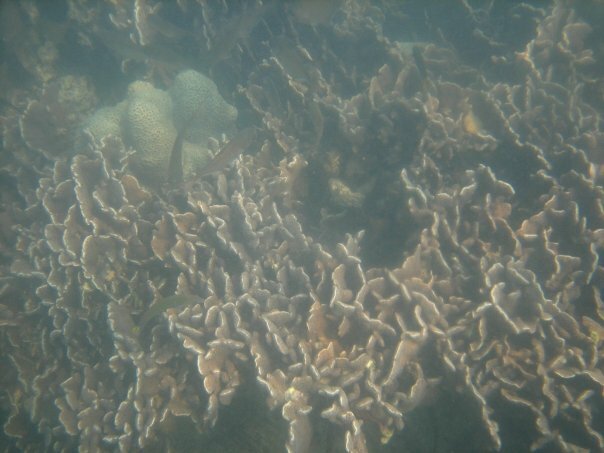 There are a lot of fish swimming among those coral reef. 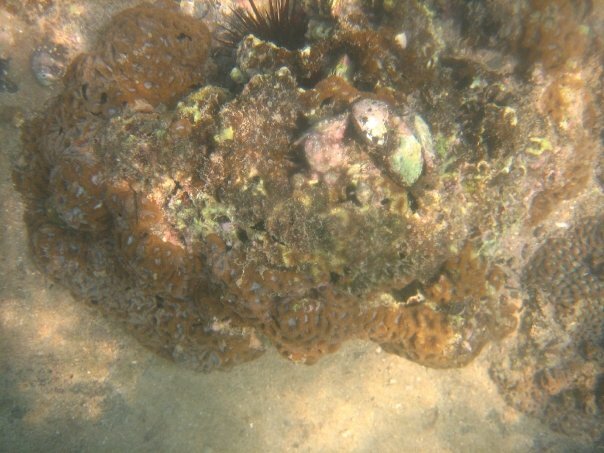 You can easily find sea-cucumber and sea urchin there. Sorry, our equipment was not good enough to capture those beautiful scenery.